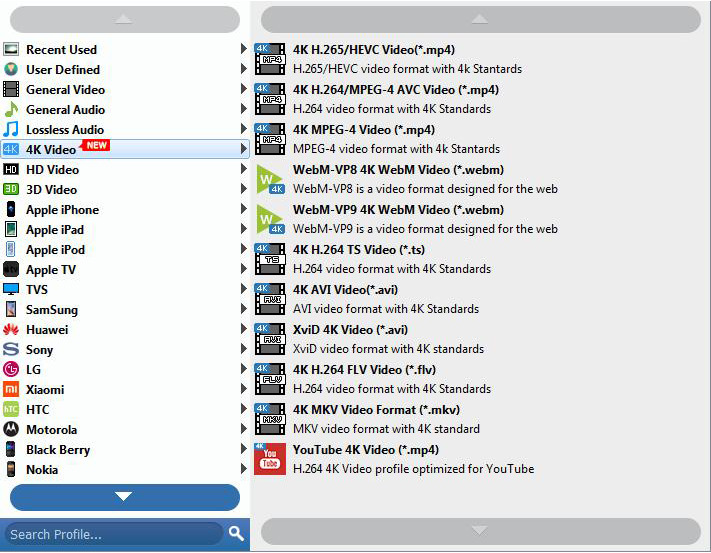 This Guide shows you how to convert HD video with Tipard Video Converter Ultimate, including convert HD video to MP4, HD video to YouTube, convert TV to HD, and all the HD video to HD video, general video to HD video, HD video to general video. HD - High Definition generally refers to the resolution of digital video, with resolutions of 1280x720 and 1920x1080 being the most common resolutions referred to as High Definition. 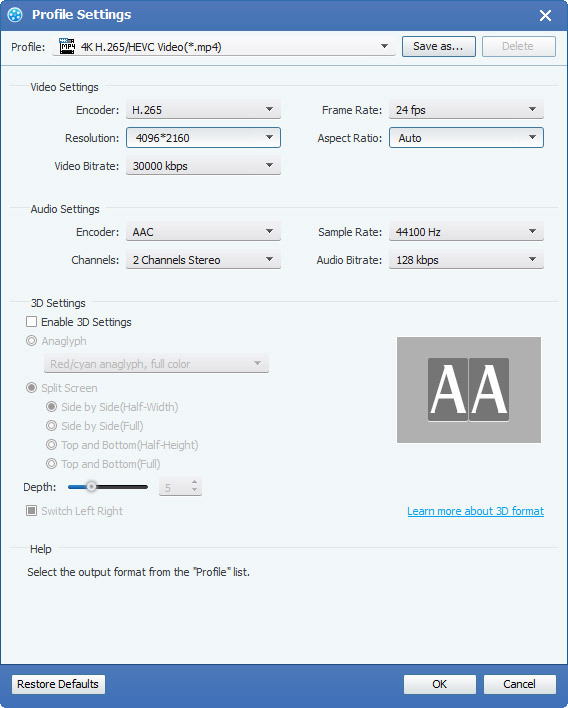 Let's come to this guide now – convert HD video. Step 1: Download and install Tipard HD Video Converter. Step 2: Add file to Tipard HD Video Converter interface. There are three ways to put your files on it. 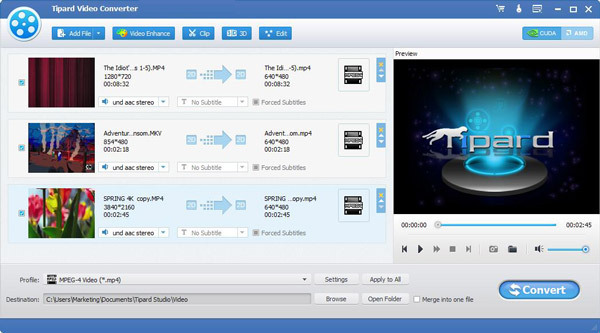 This HD Video Converter places the profile in order, and sorts it by General video, General audio, HD videos, Xbox, PS3 /PSP, Apple TV, iPod, iPhone, Wii, Lossless Audio, Mobile Phone, Animation, Portable Multimdia Devices, Zune, Google Phone, PDA(Windows Mobile), User-defined. After you select the profile, continue to select the format on the right drop menu. 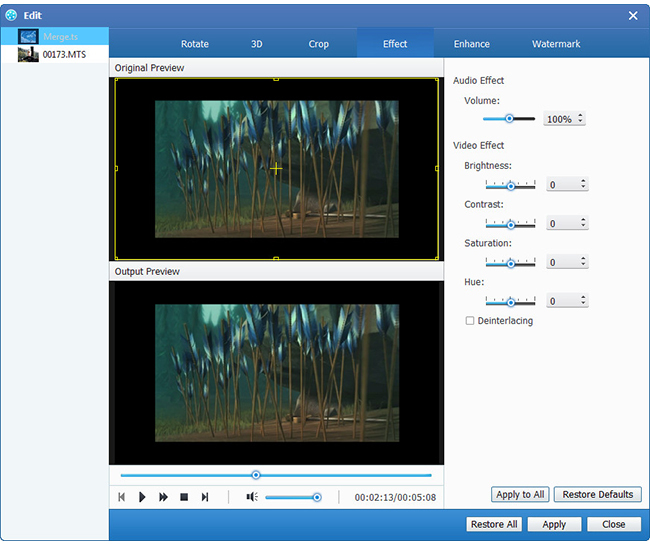 After all the steps above are done, click the right button on the interface to start to convert HD video. 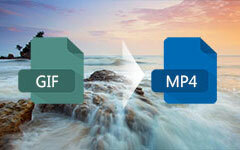 WThis post tells you top 10 MP4 to MOV converters. 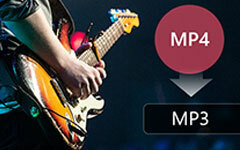 With them you can convert MP4 to MOV on your computer or online without installing any software.